Maryland American Shorthair Rescue View other American Shorthairs for adoption. Don't worry, you're not seeing double. Say hello to identical twin sisters Artemis and Apolla! These two are absolutely gorgeous silky black girls. They were born around late April and have a brother named Thantos. 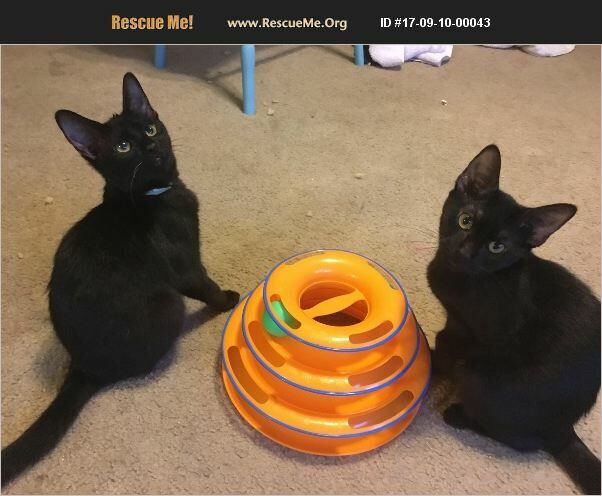 We would love to see these girls go to a home together. They can often be found beating each other up (playfully) and snoozing the day away! They also love to cuddle. Do you think you have room in your home for these girls?